Come join us. It's nice up here. 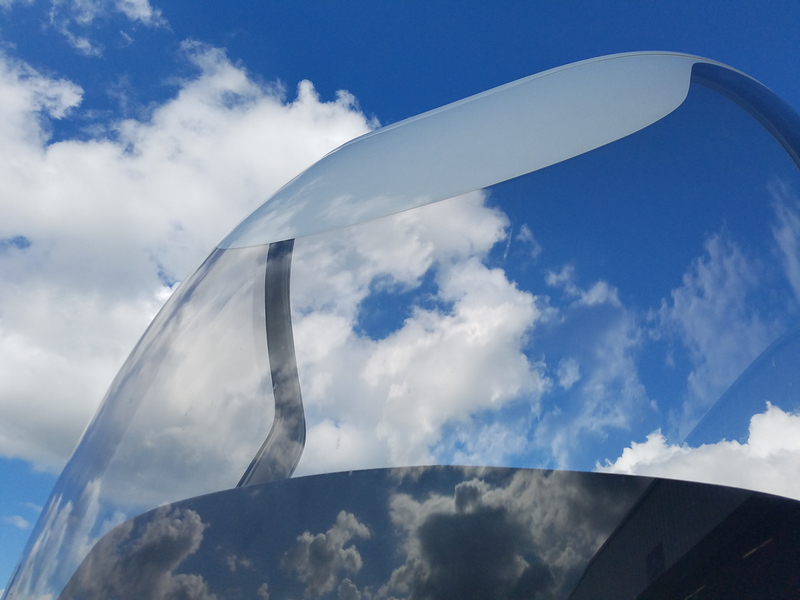 Modern aircraft, experienced instructors, and uncompromising customer service: Three reasons to give us a chance to earn your business and help you achieve your aviation goals. Best New Small Business of the Year! It's been quite a year so far! Thank you to everyone who has worked so hard to get us to this point, thank you to the Roanoke Regional Chamber for this recognition, and thank you to our customers and all those who support us in so many ways. We greatly appreciate it! Looking for a unique way to experience all the beauty the Roanoke Valley has to offer? The best seat in the house has wings attached! Begin Your Adventure with a Discovery Flight! Looking for a gift they'll remember forever? 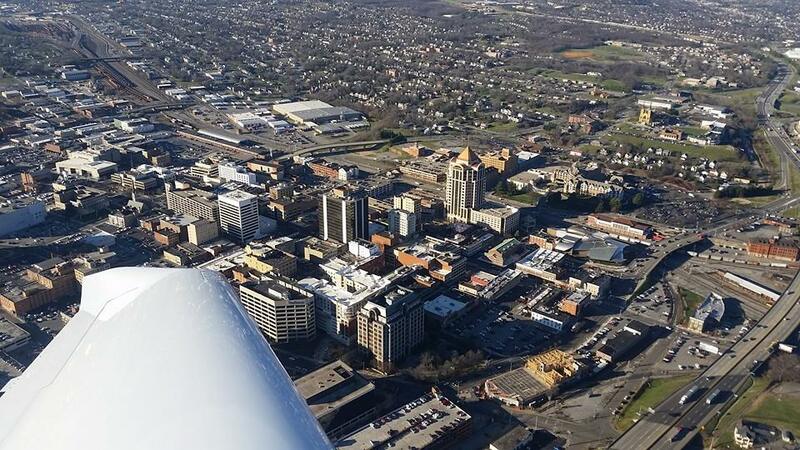 Help someone discover their love of flying with a gift certificate for a discovery flight! Ready for your FAA Knowlege Test? Come and take it in our certified testing facility! Schedule your exam through CATS today! We use Diamond aircraft (DA-20/DA-40/DA-42) for their safety record, cost-effectiveness, and overall reliability as well as the modern training environment provided in part by the Garmin glass panel avionics. 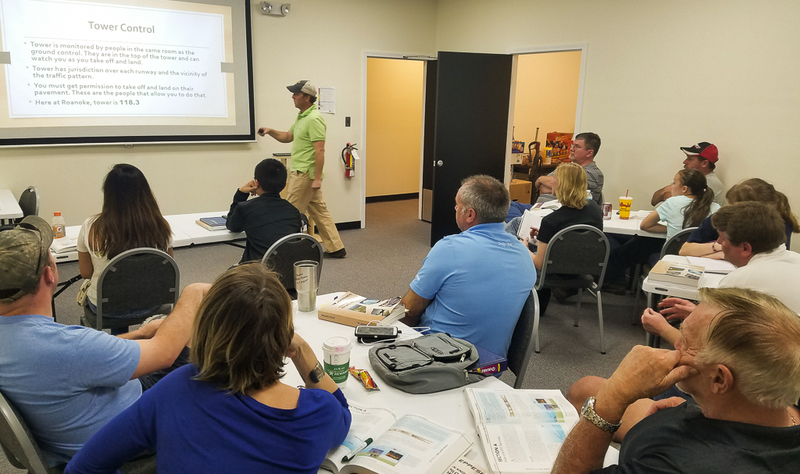 We offer primary/advanced/recurrency flight training for everyone from the career-path pilot to the weekend enthusiast, as well as aircraft rentals, FAA computerized testing, educational outreach, and much more! 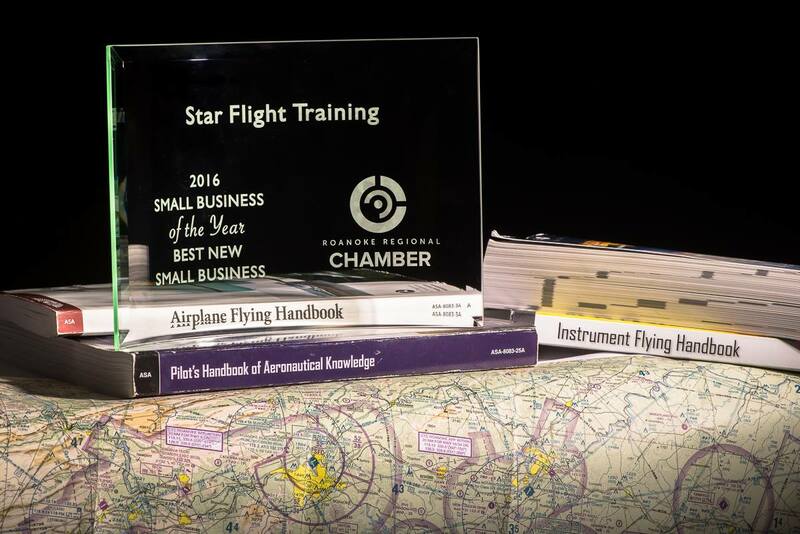 Friendly staff and experienced independent instructors are ready to help you achieve your aviation goals with a comprehensive, systematic approach to flight training and uncompromising customer service. Redbird Full Motion Simulator - $90/hr. Whether you're dreaming of a career in aviation or just curious if the sky is the place for you, a discovery flight is a fantastic introduction to flying! Save big! Right now only $99! Questions? Want to see our operation in person? Ready to fly? Get in touch with a real person and let us share our passion for flying with you!